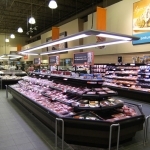 When considering Promolux lighting, we always recommend beginning with service and self-serve meat cases because the investment in product in these types of cases is very high. 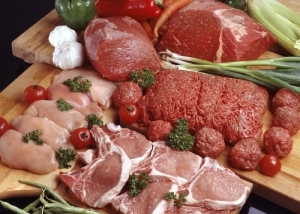 Furthermore, as it is perishable, any discoloration, dehydration, or degradation of the product is noticeable immediately. 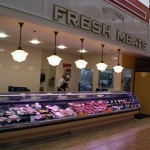 Promolux lighting showcases fresh meat in the best possible light, attracting customers to your displays, while at the same time minimizing the damage caused by regular lighting. 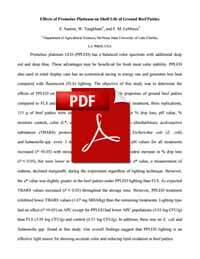 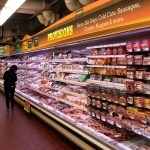 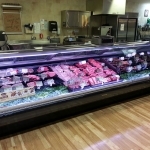 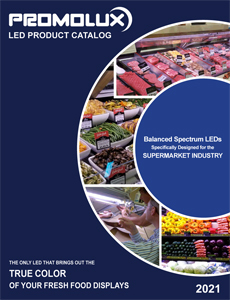 When it comes to fresh meat merchandising and protection there is simply no other lamp that can compare to Promolux.